If you are looking for the hottest spot for going out in Patagonia you will want to head toward the town of Bariloche in the Lake District. This town is known for its mountain side views, its chocolate, and its night life. If will find everything you are looking for and more. One of the town favorites is the Irish pub Wilkenney. And for more of a club atmosphere, Roxy is the newest place to be. Two other Patagonian towns that seem to come awake at night are Puerto Madryn and Ushuaia. Puerto Madryn is a charming beach town that has a night time city buzz and a number of fun destinations to choose from. 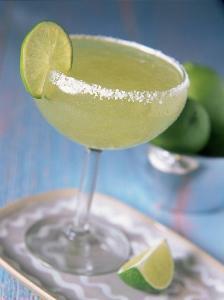 One of the favorites is Margarita. It is a great restaurant that transforms into the hottest bar in town for the later crowds. As the crowds start to thin there, you may think that everyone is heading home; but generally they are just jumping in their cars to get to Molino. This is a shoulder to shoulder dance club right on the beach where you can end your night and watch the sun rise in typical Argentina fashion. Speaking of clubs on the beach, another that is very popular is Club Nautico that you will find in Ushuaia. You will be guaranteed a night of fun dancing and incredible floor to ceiling views overlooking the Beagle Channel. But if you aren’t in the mood to bust a move, you can’t go wrong at the Irish pubs. Dublin is the more traditional of the two, and Golway caters to a little more of a wild atmosphere. Because Patagonia is so desolate your best shot of a night life in most of the other towns will involve a small restaurant/bar with a cozy atmosphere and a signature gaucho strumming his guitar as the nights entertainment. Generally you don’t need much advise as to where to go in these towns because from each end of the main street you can see and hear where the party is at. For more information on the Night Life in Patagonia, see the destination specific pages at Argentina’s Travel Guide. This page rendered in 0.914 seconds.